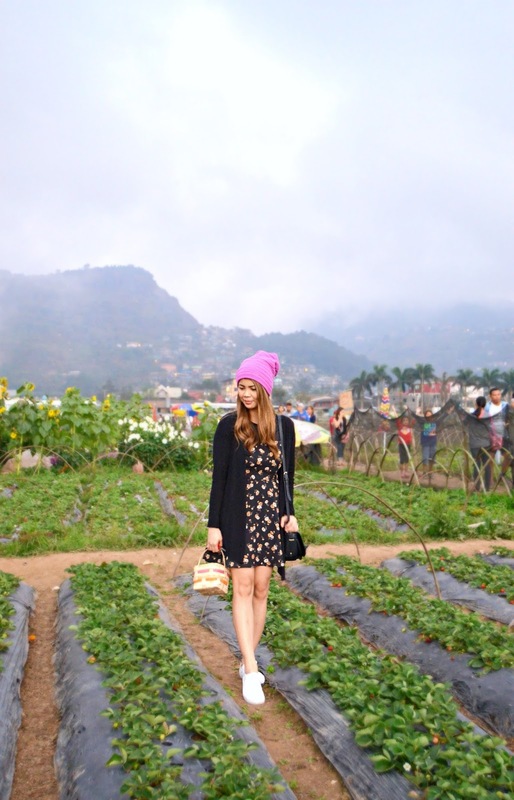 Strawberry picking is highly recommended activity when you visit Baguio that is located in La Trinidad, Benguet. It's an amazing experience for the whole family where you will be able to pick fresh strawberries to bring home or consume just right after picking it while on vacation in the Summer capital of the Philippines. 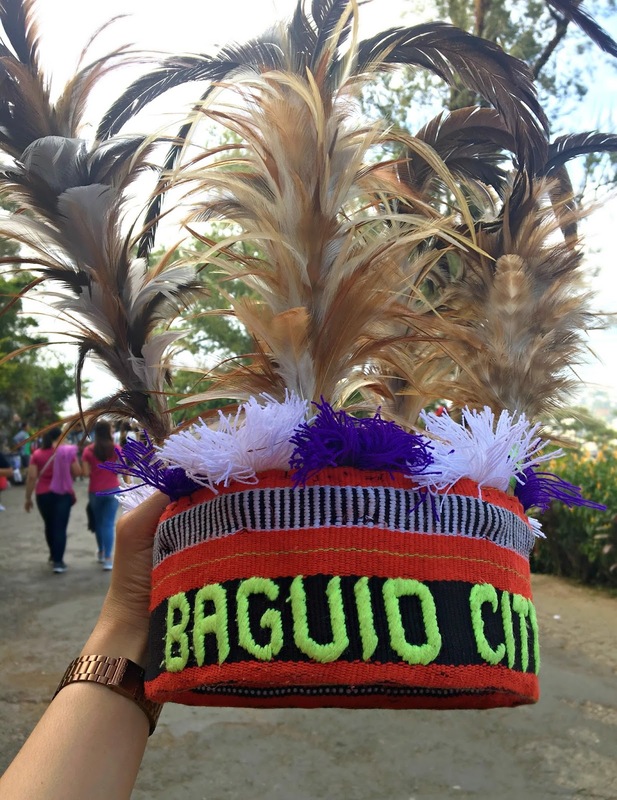 It is located just 30 minutes from Baguio City and opens from November-May every year. The rates of fruit picking vary and it cost twice the market price because of the experience you are actually paying. We paid P500 pesos or $10 for picking of a kilo of strawberries. You need to pick as much as you want as long it will reach one kilo. You and your family can help each other picking to fasten the process. You don't have a reservation though you need to reach there early where there's not a lot of people yet. In our experience, we reached the place late afternoon so most of the farms are already closing that makes us hard to find the best ones. It is not only strawberries they are harvesting here but also fruits, vegetables, and even flowers. 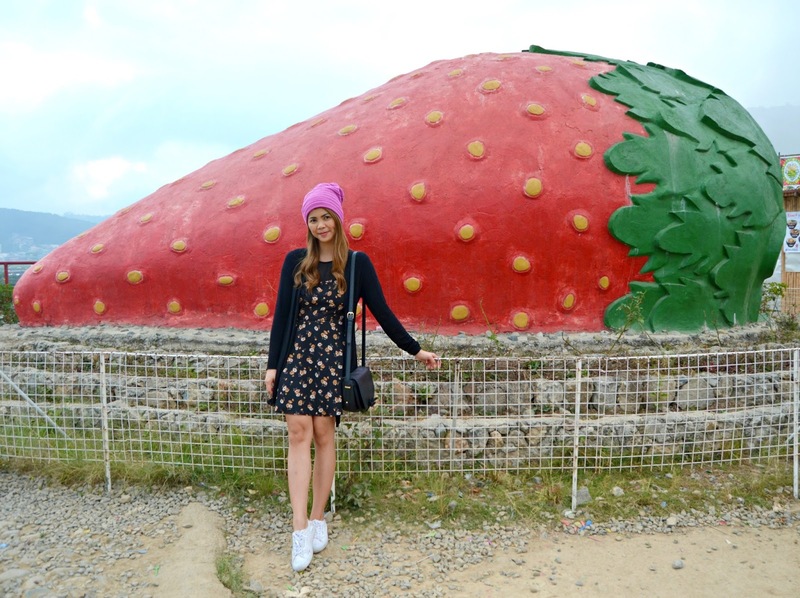 In Baguio, there's a lot of food/snacks that are famously made from strawberry. Just like the strawberry taho or soy pudding with strawberry syrup that cost P25 or $.5 for one small cup. It is the perfect light breakfast for those who are dieting. 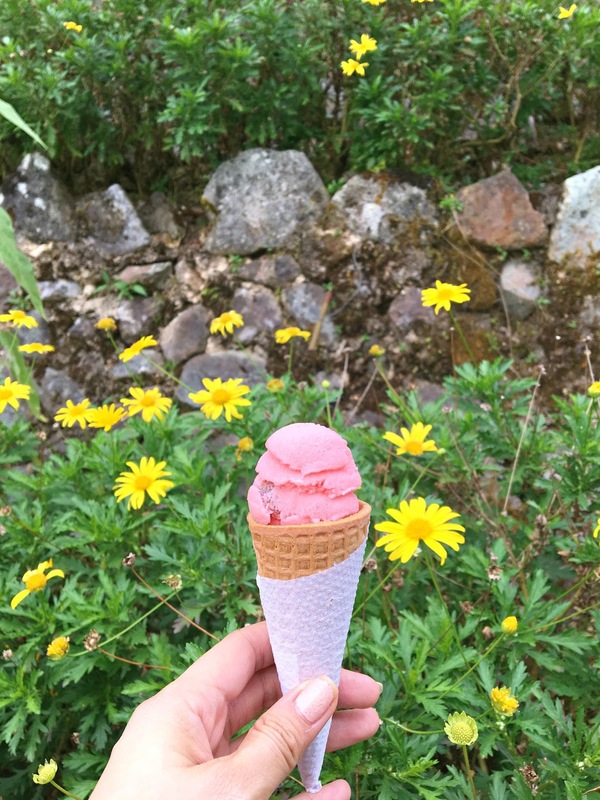 There's an ice cream strawberry also that cost P50 or $1 only. It taste oh so good especially when topped on a sweet cone. 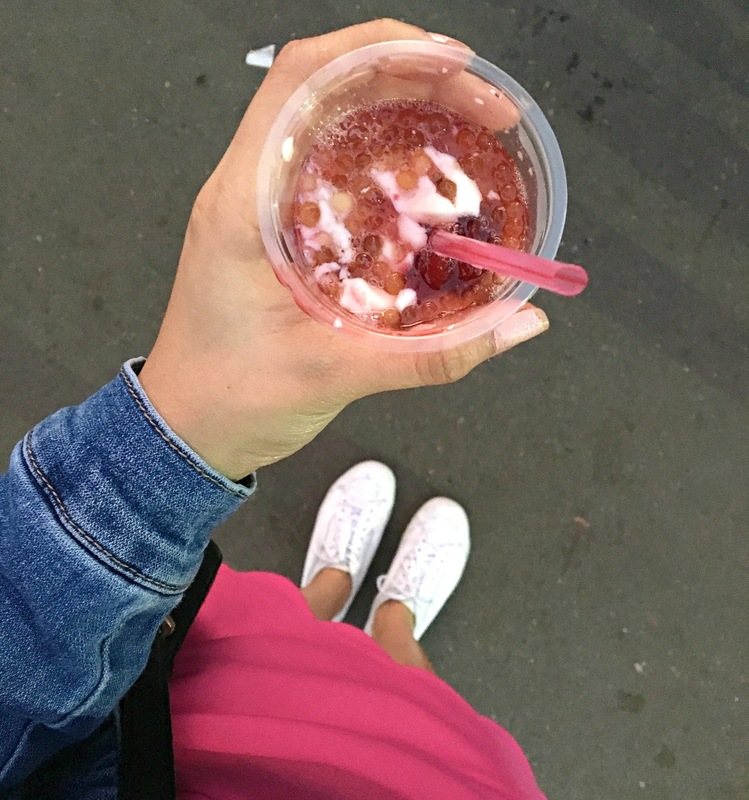 And the last one I tried is strawberry shake which I am in love and ordered 3 cups of it in one sip because it tastes good and not so sweet that cost P50 or $1 only. 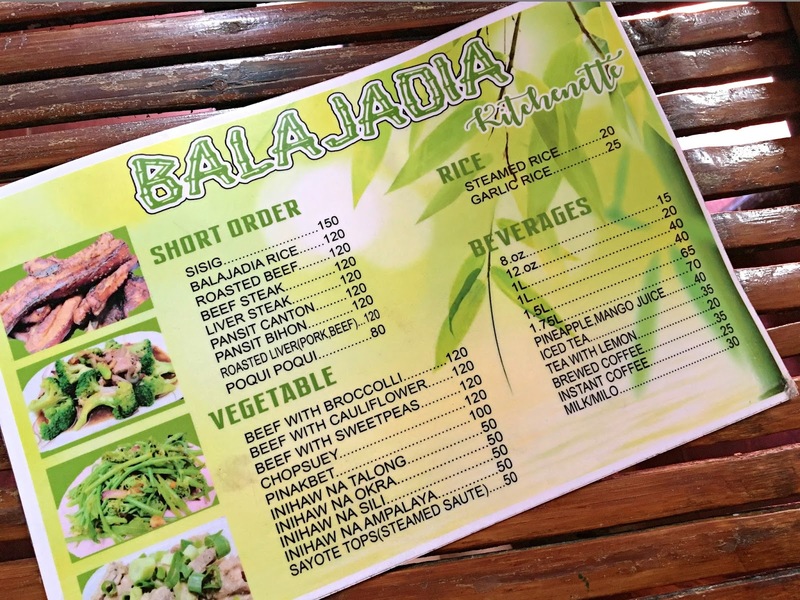 After indulging myself with sweets, we have our lunch at Balajadia which is a local restaurant that serves scrumptious food such as the Bulalo or Filipino Bone Marrow Stew that we tried. It cost P250 or $5 that is good for two people already. Do you want to visit this place? From Session Road, turn right onto Magsaysay Road and turn left at the stop light(to your right will be Baguio Center Mall). Just keep going straight, passing a vehicle flyover at one point, until you see the welcome arch of La Trinidad. Keep going a few more kilometers until you see the sign that directs folks to turn left to Strawberry Farm. It is not a very prominent sign, and it should be to your left so just keep looking out for it. 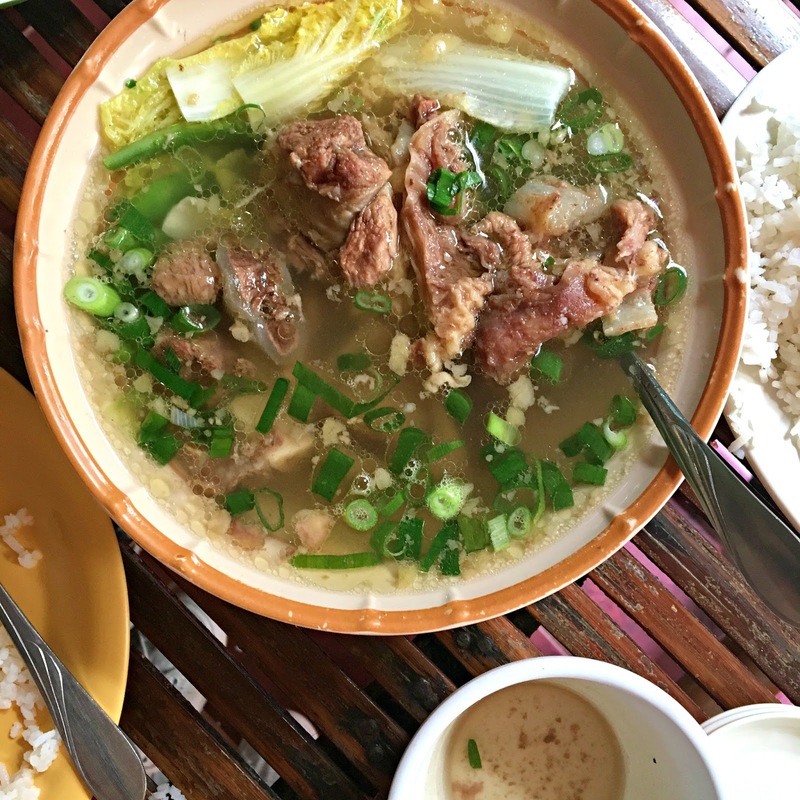 After making a left turn, keep going for a few hundred meters more until you see souvenir stalls to your left and the strawberry and flower farms to your right. If going by public transportation, jeepneys to La Trinidad wait for passengers in the Gen. Luna area near the University of Baguio. Tell the driver to let you off at the Strawberry Farm, cross the road and walk the rest of the way as it's not that far from the main road. or you may use Waze or Maps to locate this place.